"Sticky post" is the post that always stay at top of the author`s page. 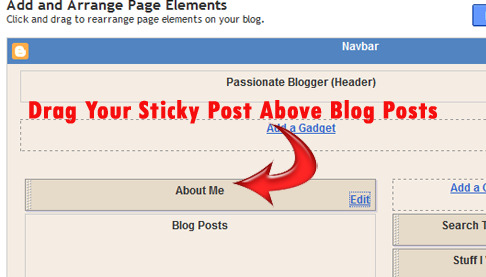 Creating sticky post is simple and quick on blogger. How to Create a Sticky Post on Blogger ? Choose the function for sticky post. Add and drag drop to move the position.